Outstanding - quick response time and a really friendly electrician! 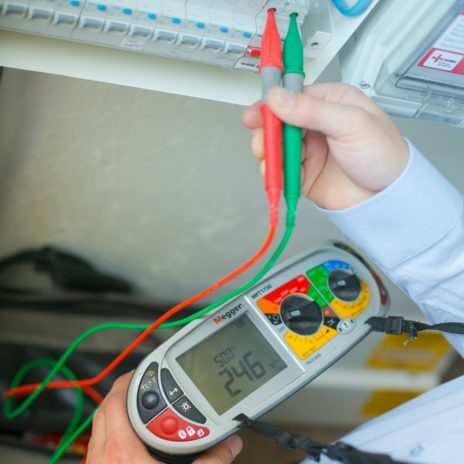 We own a decent sized manufacturing business in Cornwall electricians as you can imagine are very important if something goes wrong, I need quick and efficient service. I certainly get that with Mr Electric Cornwall. Steve and his crew did a brilliant job - we had an issue with the fuse box which was difficult to find but they persevered and in the end found a lose wire, the price was okay too. The technician was clean, tidy and knowledgeable and cleaned up after the job and even had a Mr Electric mat - never seen that before !! Great stuff ! I had Al come and fix our problem. What a wonderful man. Would recommend Al as he is a credit to your company. Very professional service and really friendly and helpful technicians. Can't recommend these people enough. Great team. Always extremely quick, efficient and friendly whatever the job and however large or small it should be. They've run electricity out to my workshop also wiring up my large glass kiln. They have also done small jobs within my home. One of them was urgent and they sent someone out within half an hour. I highly recommend them.